I don’t see the disarray. AFAIK ULA’s Delta can loft the USAF and other transports. SpaceX’s Falcon9 can loft most transports and should be a data evalution away from USAF approval to loft most of USAFs transports. And likely Orbital’s Antares can elbow in to loft some LEO transports, at least equatorial, if they so want to. The whole pivot of SpaceX protest, the reason why they bothered, is that the US government has issued instructions that the required certification launches should be done to consider entry in the USAF launch competition, the paper work can follow. So the “not yet certified” doesn’t strictly apply for SpaceX ability to be considered in an effort to “fill part of the launch gap”. 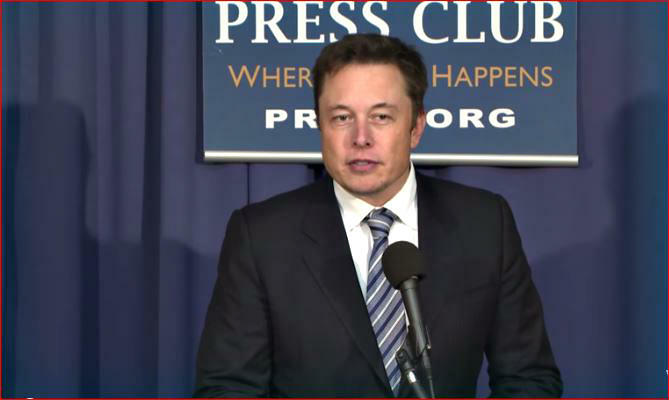 This opportunistic action by SpaceX … ignores the potential implications to our National Security. 1. Going along with USAFs sole source buy instead of allowing the 3 weeks to get a likely safer dual source contract. 3. Not complying with US explicit security interests in sanctions against Russia. That is a separate, and moot, point. If Soyuz goes, so goes ISS and the need for immediate manned US launches. Russia can answer sanctions with more hurtful actions, by withdrawing platinum from the market*, and it is unlikely ISS/Soyuz will be the first folded card. *Time to buy stock in asteroid mining companies, I note. The Atlas V rocket, powered by the Russian made RD-180 engines, will also be used as the launch vehicle by two of the three companies vying for the next round of commercial crew contracts to be awarded by NASA later this year. Only if it is available. AFAIK they can transplant their crafts to other launchers, because none are yet man rated by lofting manned crafts. Of US launchers I’m sure Delta can do the honors, as can Falcon 9 – or at least the later have or will soon demonstrate the needed abort electronics. Potentially ESA’s Ariane-5 and JAXA’s H-IIA can do it in a pinch, if the abort electronics can be implemented, they do loft heavy ATV/HTV to ISS. In a market situation, there are most always options. I couldn’t have put it better myself. I hope that the person(s) who decided to go ahead with awarding the sole source contract are currently being scrutinized in a way that will make their eyes water. A separate issue is the politics, of space and of sanctions. I’m sure we will see this type of “if only” articles in weeks and months to come, and while some of them may be honest continuation of earlier protests, I’m sure we will tire of people who cry out now instead of earlier. In democracies people have the politicians they deserve by voting. That the STS had to go is because it was politically suicide to argue for its continuation in the face of the uproar after the 2nd avoidable destruction. Never mind that the system was safer than Soyuz even IIRC, seen over individuals. The same problem adheres to aircraft and trains vs cars, they are safer but the uproar is over the yearly missing plane instead of the kill rate of say walking a european curb. So no folly, at least from the rational politician viewpoint. The CC project is perhaps more of a folly. It is delayed because political maneuvering makes US taxation, which is an egalitarian attribute deriving from empiricists like Locke, a similar political suicide. Instead US is satisfied with being the most dysfunctional (unsafe) rich society we know of according to statistics. But it is also delayed because the competing but much more expensive SLS project is supported by local voters that put their work income before the economical outcome of all US citizens. The SLS project lose political support if its theoretical backup ability, now coming online as a real capability after -21 I think by launching manned crafts, isn’t in place by launching unmanned before the CC program is finished sometime -17. Else the SLS backers would have abstained money to the priority one CC program. Again, we can’t blame all of this on the rational politician. The idiosyncratic US non-solution to their debt problem is too irrational to analyze, on the other hand. That is the folly, as well as the system that allows local interests to go before national in a democratic nation.